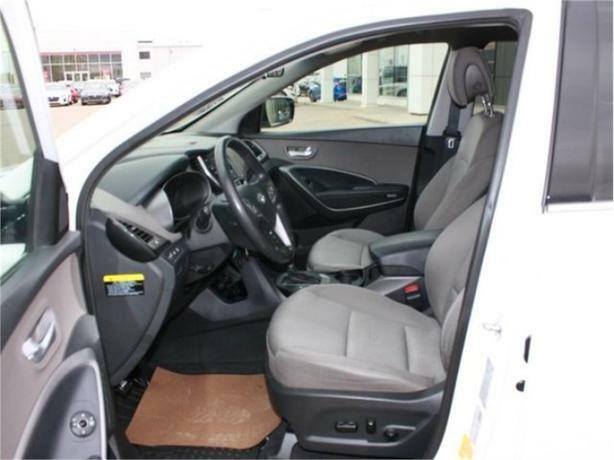 This 2013 Santa Fe premium was traded by a local family and serviced at our dealership. The previous owner traded for a new vehicle to refresh their warranty. Our Santa Fe is a wonderful family friendly SUV in great condition, with plenty of life left for the next owner!! For your peace of mind, our highly trained service technicians have given this Santa Fe a multi point pre owned used vehicle inspection to ensure there are no issues with this vehicle. You can be assured this SUV is ready to hit the road immediately! Some of the features in this Premium Santa Fe include Heated seats both front and rear, 2 way remote start, power seat, satellite radio, and much more for your comfort. Come down and see our sales team today!